The best bookmaker? Well there is no single best bookmaker, each one has it's pluses and minuses, you really need to set up a lot of different accounts to reap the rewards of each of them. Some bookmakers offer nil nil bore draw refunds (so it's worth getting a William Hill account for those). The list could go on for a long time, so instead I'll hand you over to our list of the best bookmakers, and you should take the sign up bonus and offers at all of them to maximise your chances of making a profit through matched betting. Click the banners to get the bonus offers. Betfair is the exchange site (in terms of getting matches on your bets anyway!). An exchange is place that allows people to both bet (back) and take other people's bets (lay). Essentially you can be the punter and the bookie. What that means is you can set your own odds, and provided someone takes them, you should be able to get better value than you would from a highstreet bookmaker. Of course they don't offer this service for free, there's commission to be paid on winning bets, but that's easily offset by the odds and bonuses. It really is invaluable as a site. 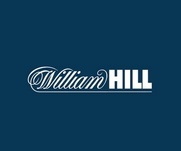 William Hill are one of the Big 3 UK bookmakers and have every market covered. They also have a cryptologic Casino which runs from the same account, along with bingo (don't laugh, there's money to be made on that as well! ), poker and trading. They have competant customer support and the odds given for EP horse races are good, including a best odds guarantee. Along with the good odds there are regular enhancements, free bets and risk free casino offers that offer a great chance of making some money. Withdrawals and deposits are always free and received within 3 working days. And lest we forget, the bore draw refund as well. Paddypower is one of the best bookmakers you can find online. Excellent customer support with a dedicated help centre, free phone number and 24hr E-mail support. Plus if you need to call them you get to speak to a nice Irish person, got to love that accent! They have very frequent cash back promotions which are well worth taking part in as well as having the Horse Racing Best Odds Guaranteed (BOG). Withdrawals are unlimited, free of charge and received the same day, if not within minutes to Skrill. 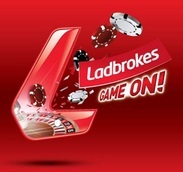 Ladbrokes is one of the largest and one of the best bookmakers in the UK. The've taken a bit of time to catch up with other online bookamkers, but are now in a position to compete. As well as a Sportsbook they have a Microgaming Casino and Poker site too, all operated from the one account. There's a huge range of markets available on every possible Sport. They take large bets, and have very generous odds on most Horseraces. Payments back to Skrill are near instant and all other methods are fast and free with no maximum limits. They have a freephone number which have good operators or email support if you'd rather. 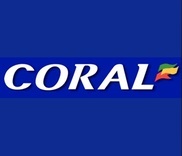 Coral have fast payouts and are a UK household name so you can be sure that your money is safe. They have decent odds on football matches and take very large wagers on the biggest football leagues. Horse racing can also be very lucrative but they are likely to limit accounts if they think you are "arbing" this. Payouts are always swift and free, sometimes within hours. Customer Support is available over the phone or via a very efficient internal messaging system, with answers received within a few hours. 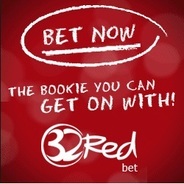 BetBright offer a risk free sign up bonus of £30. Place a bet (check the minimum odds, but you'd want to go fairly long anyway) and if it wins it wins, if it loses you'll get your stake back up to £30 as cash. 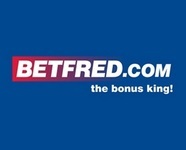 Not as a free bet as some 'risk free bonuses' would have it. Cold hard cash. There's an excellent selection of bets, and whilst some of the odds can be a bit mean at times, they're normally excellent on the favourites for an event which makes them a great place for accumulators (if that's your thing!). 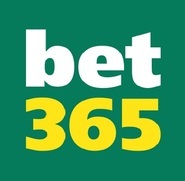 Bet365 is a UK focused betting and gaming group. The site has everything you need from sports betting to bingo and it's generally not a problem to bet large amounts without being limited. They have particularly good odds available on UK Horse racing with a very lucrative 4-1 offer and Best Odds Garuntee promise, and you really shouldn't even consider placing a horse racing bet without that. Bet365 offers a wide range of support including e-mail, telephone and live chat and it's all excellent. Withdrawals are free and usually received to Skrill within 24 hours.